Ms. Dennia I. Gayle is a development practitioner, with over 15 years of professional experience in the formulation, management and oversight of health promotion programs in the area of sexual and reproductive health and reproductive rights. Prior to joining UNFPA, Ms.
Ms. Dennia I. Gayle is a development practitioner, with over 15 years of professional experience in the formulation, management and oversight of health promotion programs in the area of sexual and reproductive health and reproductive rights. Prior to joining UNFPA, Ms. Gayle worked on population and development programmes in several countries in Latin America (Mexico, Guatemala, Nicaragua, and Honduras), the Caribbean (Jamaica and Antigua) and the United States. She joined UNFPA in 2006 as a Programme Specialist in the Latin America and Caribbean Division where she was responsible for management and oversight of the Regional Reproductive Health Programme, including Maternal Health, HIV & AIDS, Health Sector Reform and Reproductive Health Commodities Security. In 2009, Dennia was appointed to the position of Technical Specialist in UNFPA’s Technical Division (TD) where she performed dual duties in both the Reproductive Health Branch and the Technical Division Directorate. As part of the Reproductive Health Branch, she provided strategic guidance and technical support to UNFPA’s regional and sub-regional and country offices in the areas of adolescents and youth, family planning and social and community mobilization. At the TD Directorate level, she provided policy and managerial support to the overall operational processes of the division. Dennia was the interim Deputy Representative in Uganda in 2010; and in January 2012 assumed the position of Deputy Representative in Ghana with overall responsibility for the formulation and delivery of the UNFPA country programme and coordination of day-to-day operations and programme work of the Country Office. 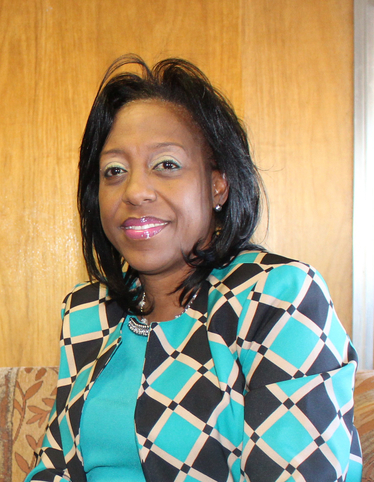 Since December 2015 Ms. Gayle has occupied the position of Representative to Namibia. Dennia is known for her infectious energy, her drive, passion and commitment to advancing sexual and reproductive health and rights and empowering women and young people. Dennia holds a Licenciatura in Psychology from the University of Costa Rica; and was a Fulbright Scholar to Tulane University where she earned master’s degrees in both International Public Health and Social Work.